Nov 18, 2014 — On Friday, November 14, 2014, representatives of the Carpatho-Rusyn Consortium of North America, John Righetti, Jim Kepchar-Kaminski, and Elaine Rusinko went to Capitol Hill to present the petition to members of the Congressional Ukrainian Caucus and educate them about Carpatho-Rusyns. They visited the offices of Ukrainian Caucus co-chair Rep. Marcy Kaptur and Rep. Sandy Levin. At the Senate, they visited Sen. John McCain's office, who has been briefed many times over the last nine years because of his expressed interest in Ukraine. They also had a meeting with representatives from Radio Free Europe/Radio Liberty to discuss the media outlet's recent coverage of the petition. 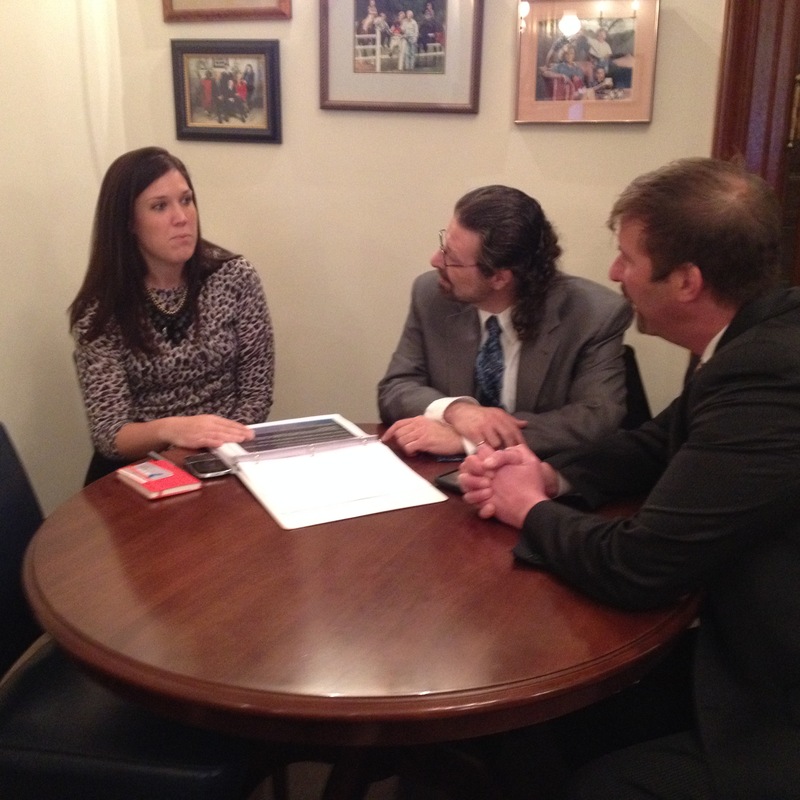 Sen. John McCain's legislative aide Elizabeth O'Bagy meets with John Righetti and Jim Kepchar-Kaminski.